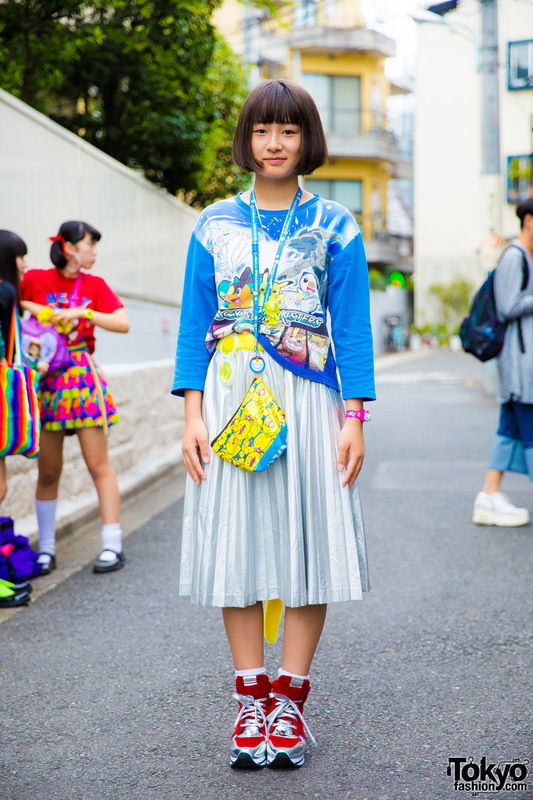 Harajuku fashion student wearing pink and purple ruffle top over ombre layered ruffle skirt, fishnet stockings, platform snakeskin boots and Pokemon a bag. 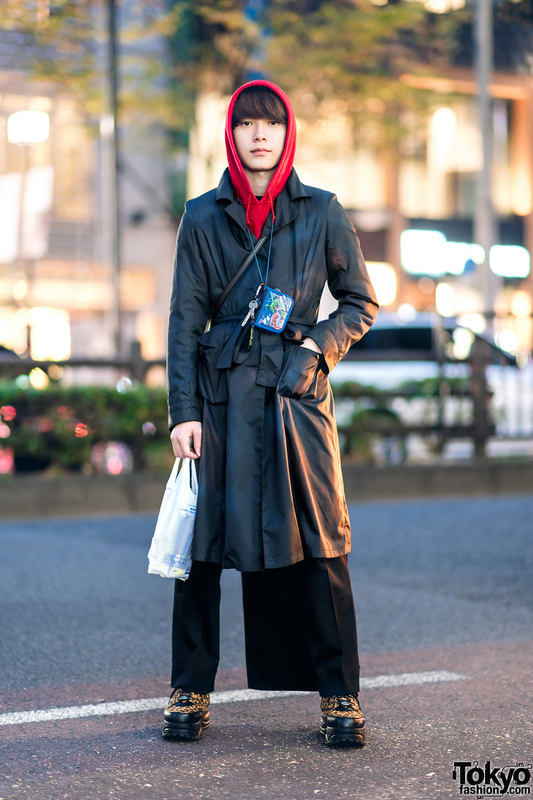 Harajuku freelancer in all black gothic style wearing cropped top w/ cut out shoulders, flare skirt, fishnet stockings, platform studded sandals, backpack, sunglasses and jewelry. 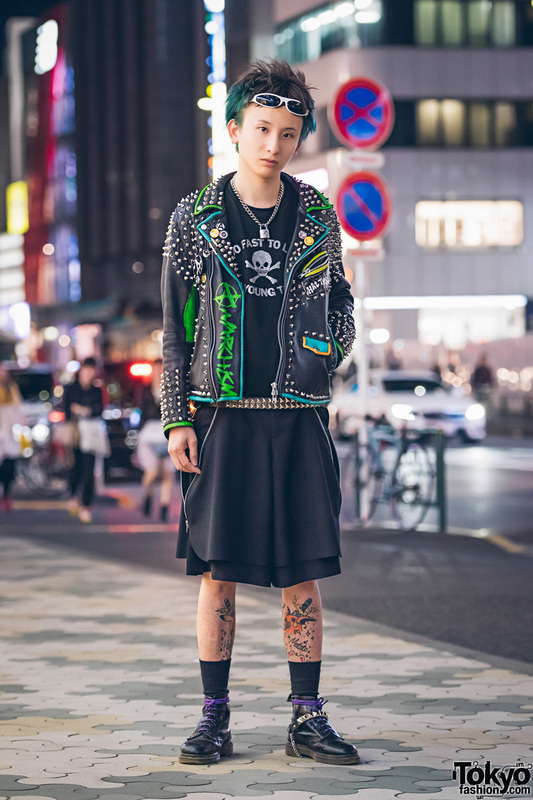 Punk-loving Harajuku guy wearing a neon and studs leather jacket with a t-shirt and lace up boots. 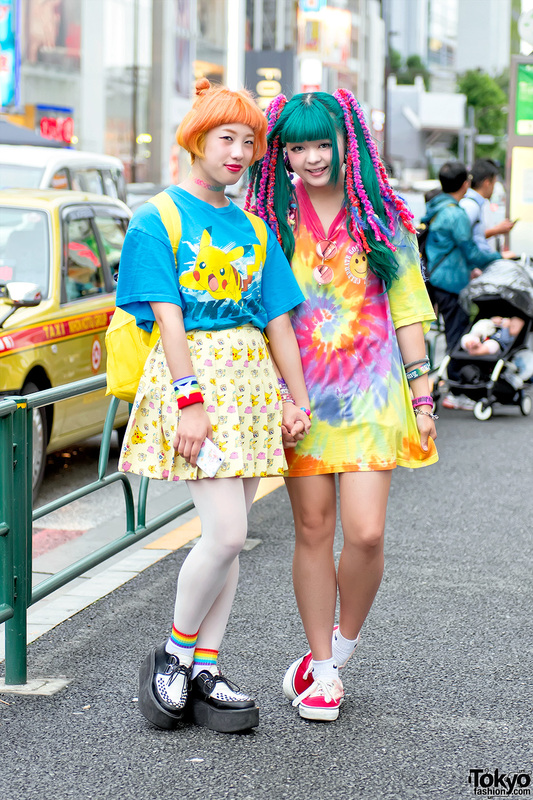 Colorfully dressed Harajuku girls with orange and green hair wearing resale fashion featuring Pikachu and tie dye. 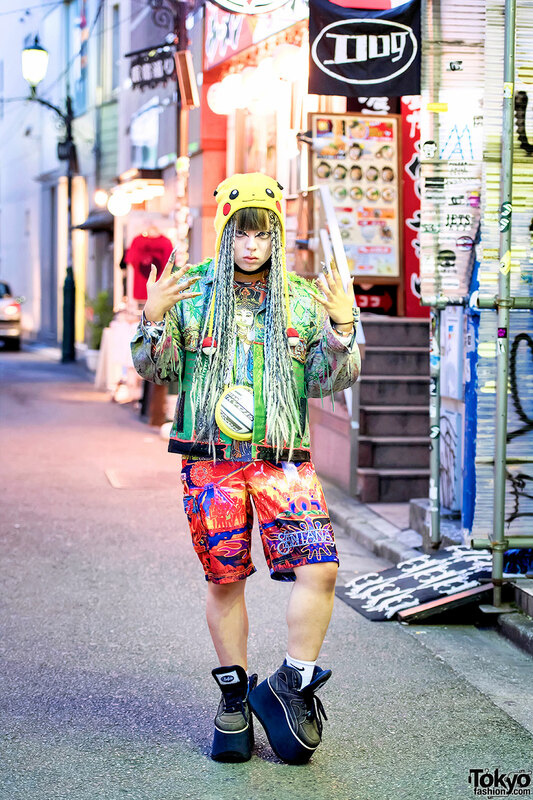 Harajuku girl with twin tails, pink jacket, manga t-shirt and manga bag, white socks and platform sneakers.